At Uncorked Tours, we’ve been sharing our favorite things about wine country since 2004. A female-owned small business, we’re dedicated to making sure that everyone who joins us has the time of their lives. Whether you’re looking for something to do for an afternoon or planning a day that you’ll remember for a lifetime, we’d love to be a part of your time in Temecula! This is our first post, so we thought it would be appropriate to share a few of the things that you can expect if you choose to spend some time with us. 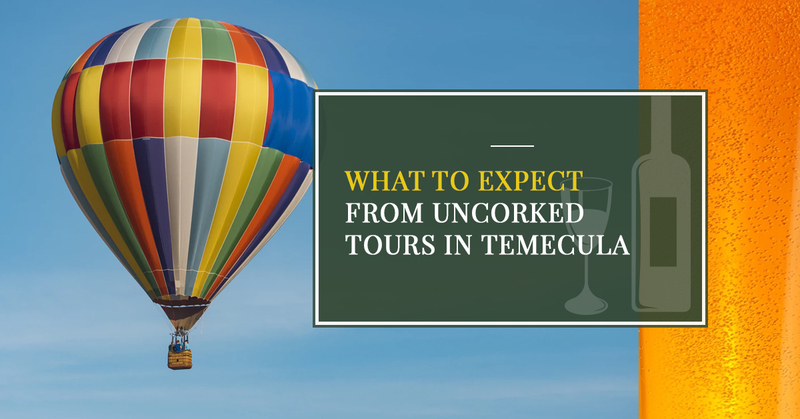 Without further ado, let’s take a look at a few of the wonderful things you can expect to enjoy at Uncorked Tours. If winery tours are up your alley then you’re in the right place! Each of our wine tours is four hours of fun via our party coach or limousine and includes stops at three different wineries where you’ll enjoy a number of different wines. Cheese samplings along with crackers, chocolate, and water is also served. In other words, if you’re a wine lover and you’re searching for a way to get the most out of wine country, this is the way to go. Learn more about winery tours here. Just because you’re in wine country doesn’t mean we don’t know how to do beer around here as well! If microbrews are your thing, our beer tours include three stops along a four hour tour where you’ll enjoy four or five taster flights at each brewery. A tour guide can answer questions about the brews, ensuring that you have the time of your life. Learn more about brewery tours here. There’s nothing quite like seeing wine country from way up in the sky; what better way to do that than by taking a sunrise hot air balloon tour? Whether you’re planning a romantic date for that special someone or you simply want a way to enjoy a relaxing view of one of the most beautiful places in the country, this is the way to do it. Learn more about hot air balloon flights here. If the sound of a wine bike tour is up your alley, there’s no better way to do it than on an e-bike. Cruise through Temecula wine country in style and see the sights with an electric motor to assist you when you get tired. Whether you prefer to do it at sunrise or with a group is entirely up to you! Learn more about e-bike tours here. Want to cruise through wine country in style? Our limousine party bus is the way to go! Take the fun factor up a notch and enjoy an outing with a group of up to 24 people. Where you go and what you do is your choice, but we’re certain that you’ll have the time of your life. Learn more about party bus charters here. Have a question? We’d love to hear from you. Contact us today!